I recently realized that I have a lot of necklaces. I'm not really sure how that happened. I swear one day I had almost no jewelry and now I seem to have too much! (If one can really have too much...) Either way I now need a delightfully adorable way to display all of my pretties while also making them easily accessible. I can't handle digging them out of a box and untangling them every time I want to wear one anymore! What better way to display your pretty jewels than with a DIY project? I love handmaking things for my home so this seems like the perfect opportunity to do so! While I mull over the ideas for how to display my jewelry, I wanted to share with you some other DIY jewelry holders that I'm using as sources of inspiration for my own future DIY project! 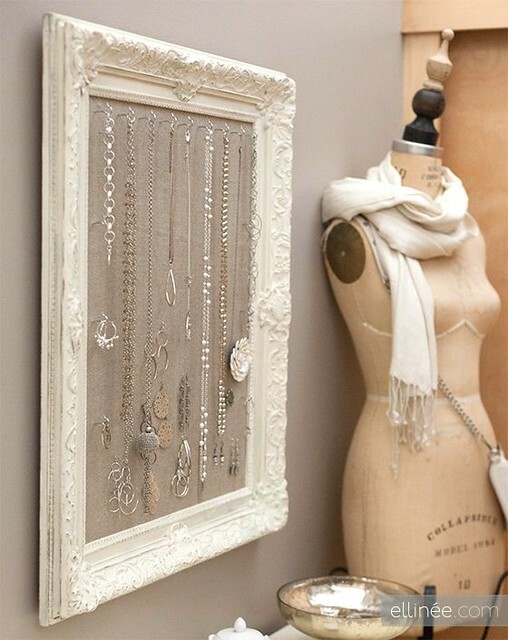 I love the look of this vintage frame jewelry holder from The Elli Blog. 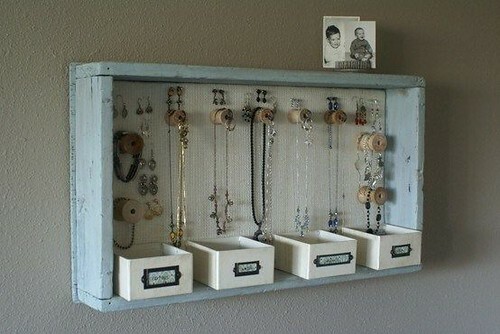 I love how this DIY jewelry holder from ATimeForEverything even has cute little boxes at the bottom for bracelets and rings, but the old spools as necklace holders just make it that much more adorable! 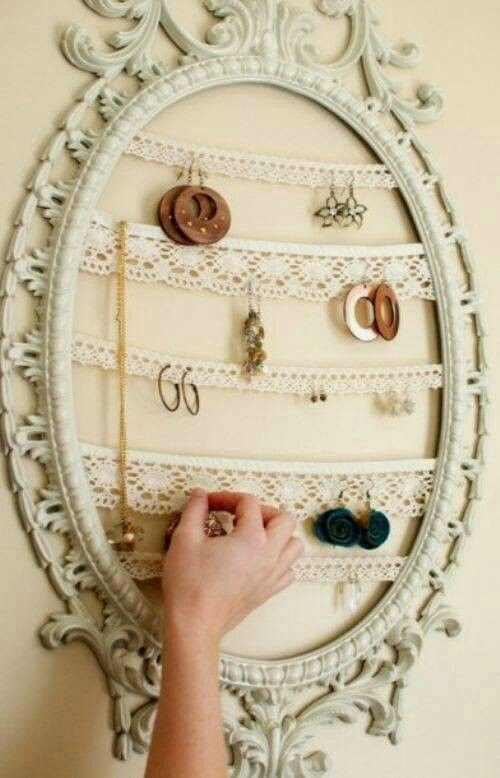 Once again using an old frame, this DIY holder adds some adorable elegance my using the holes in lace to attach earrings. 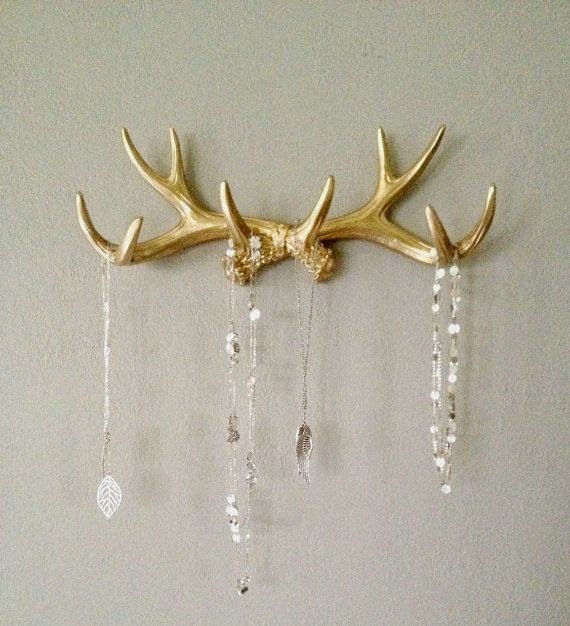 I love the idea of using these faux antlers from LucyHaas to display necklaces! It's so simple and chic! This is my favorite one so far! I am in love with this DIY arrow jewelry hold from LemonadeMakinMomma. 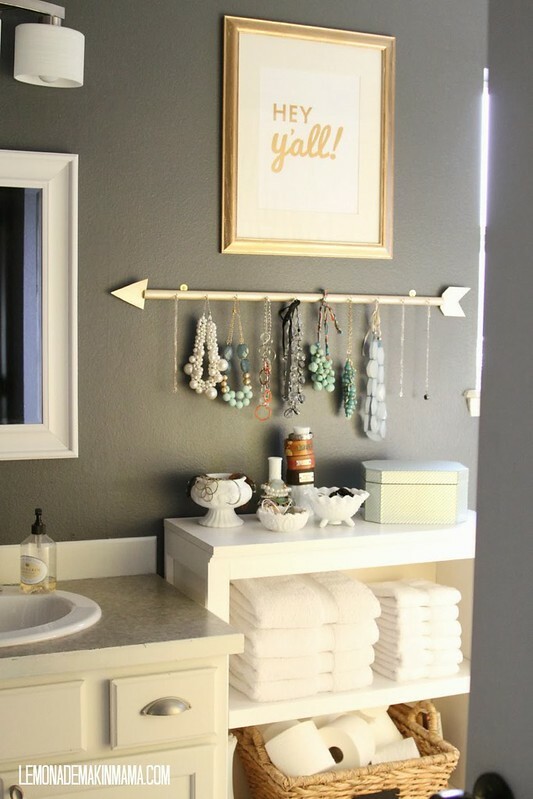 It's such a simple DIY, but it adds a touch of elegance and playfulness to her bathroom. Which jewelry holder is your favorite? For more ideas, check out my Pinterest Board of DIY crafts and ideas.